How is it already August?! This summer has just flown by and has kept me very busy. Between working 50 hours per week, moving, and having jam packed weekends, it is no wonder I blinked and we are somehow already at the beginning of August. 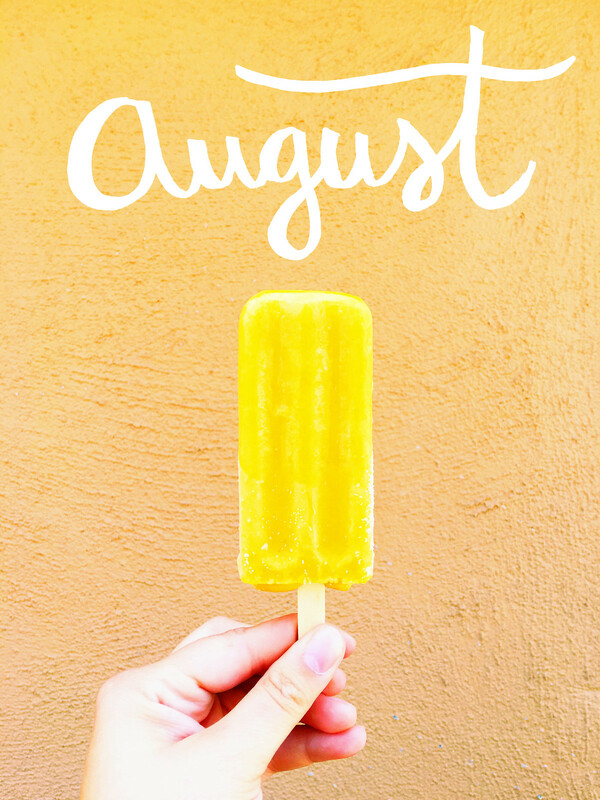 August is a bittersweet month for me; there are exciting things to celebrate, but it also means the end of summer break and the beginning of a new school year. While I enjoy the newness of a fresh semester, I do not enjoy the responsibilities that come along with it as my classes progress! This is the fun part of August! Dai's birthday and our anniversary are just 3 days apart, so these special occasions are always the highlight of the month. I usually plan something for Dai's birthday, but this year I am also handling plans for the day of our anniversary and I am excited :) We are also using these occasions as an excuse to go away later in the month, so it is like we get to celebrate all throughout August, which I am definitely a fan of! July was pretty crazy for both of us, so it didn't really feel like we got to spend much quality time together, even though we saw each other every day. This month I would like to make an intentional effort to spend nice time together, especially since I will be starting school soon and then will have homework and tests to worry about even in my down time. One of the great amenities of my apartment is a nice gym (along with a pool! ), so I definitely want to take advantage of it and get my booty into a workout routine! Between the gym at home and a pilates class I am taking this semester, I am hoping to finally begin my fitness journey. Gyms are totally new to me and while the one at my apartment isn't huge, it is surely enough to get me going! As you can see, going back to school is a theme here! I am thankful for my education, but it definitely puts a strain on my free time, so I would like to take advantage of the time I have left before school starts again to do things I have been wanting to do. I would love to do things like have a coffee date with myself, work on a scrapbook, blog, and play around with hand lettering, things I always feel like I have to put off because of school. My friend and roommate, Laura, and I were talking about giving oil pulling a try and thought it would be nice to have each other as a buddy to do it with. There is a lot of information out there about oil pulling, so I would just Google it if you are curious, but it is essentially swishing around oil in your mouth for about 20 minutes. Sounds weird, I know, but it has tons of health benefits, such as teeth whitening, increasing oral health, aiding in weight loss, killing bad breath, the list literally goes on and on... So, I figured why not start this month? So there you have it, my goals for this month! Even though it just began, I can already tell it is going to fly by! I think the most important thing for me is going to be being intentional about my time, especially when it comes to wanting to do some things by myself. I am really looking forward to seeing what this month brings! What are your goals for August? Are you going back to school this month?